Cornflour is another ingredient you can use for waffle recipes and replace it with plain flour. Consistency might change a bit depending on what kind of recipe so be sure to try it out first to see what works best for you. I for one love using cornflour in sweet recipes cause of the sweet taste of other corn dishes like popcorn. 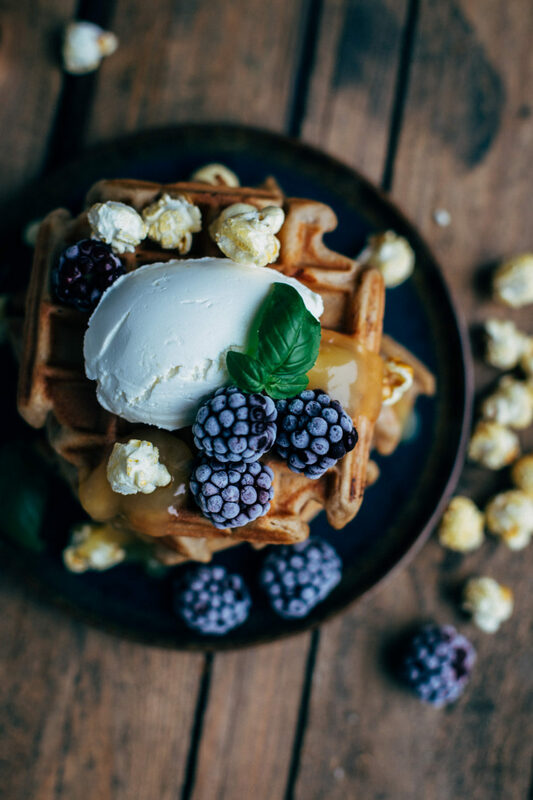 Mix both for this waffle recipe and you’ve got a delicious dessert which you can finish with blackberries, mascarpone, and some lemon curd. Grab a bowl and mix in the mascarpone, sugar, almond milk, eggs, and salt. Mix the flours with the baking soda and sieve this above the wet mixture and mix until combined. Heat up your waffle iron and bake a generous tablespoon of batter for one waffle. COntinue baking until done. 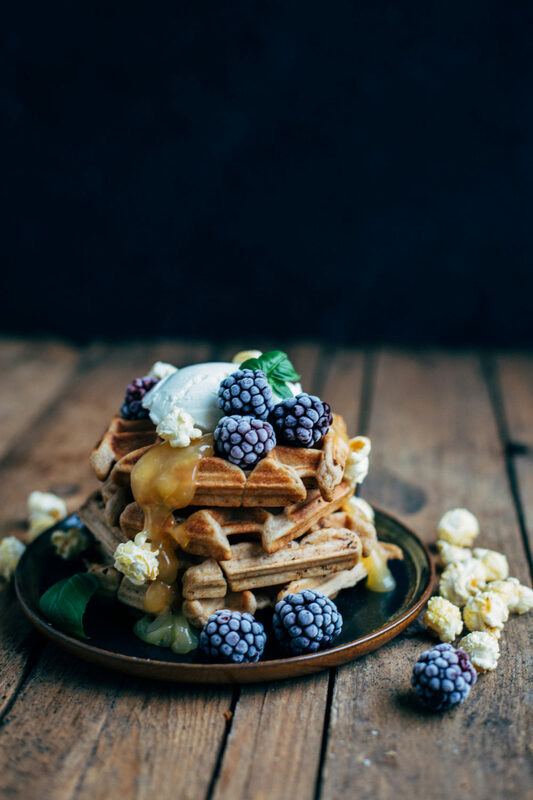 Serve the waffles with frozen or fresh blackberries, popcorn, mascarpone, and some lemon curd. Enjoy!